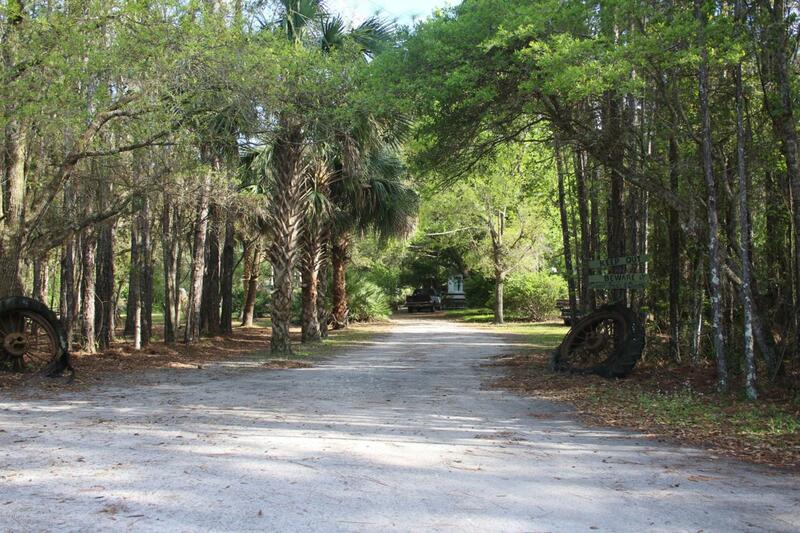 A rare find, 5 acres adjacent to Twenty Mile with no HOA or CDD fees! Save thousands annually. A 2-acre established, well-maintained yard is surrounded by woods for privacy. There are large oaks, numerous bearing citrus trees, grapes, pear, figs & banana trees. Grow your own vegetables in the large, organic, raised-bed garden. Roses, wisteria, ginger lilies among many other plants make this a property you have to see to appreciate. Property has an older barn with a lean-to stall for a horse and a nice chicken coop. Only 15 minutes to the ocean (A1A) or to I-95. Five minutes to the Intracoastal Waterway for boating/fishing. Golf cart paths take you to all the local Nocatee shops/restaurants. Bring your own builder and design your own dream retreat!